With so many news stories circulating recently about the dearth of UK engineers, it&apos;s easy to get caught up in a sort of &apos;engineering gloom&apos; and think that the skills shortage is going to be a hard nut to crack. Whilst this may well be true, there are certainly plenty of worthy efforts being made to assuage this concern, and perhaps what we all need is a look back over the engineering triumphs of the past to lighten the mood. In actual fact, a poll that celebrates the past successes of the engineering industry has been conducted very recently, and the results of this study are a real roll-call of engineering greats. 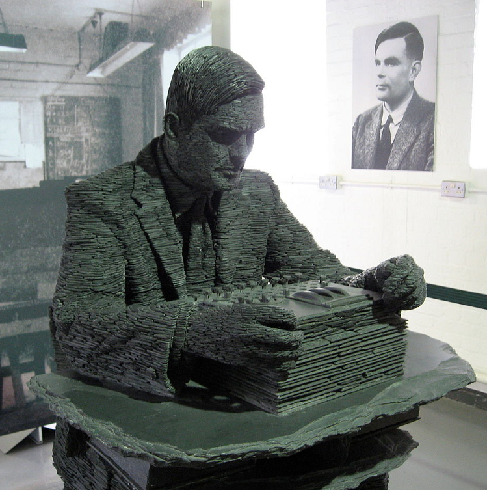 According to the BBC, the list was voted for by the Institution of Mechanical Engineers itself, and Alan Turing&apos;s iconic Bombe Machine was awarded the top spot in the poll. This means that Turing&apos;s creation is officially the favourite recipient of the Engineering Heritage Award, but of course the machine carries much more significance than just that. The &apos;code-breakers&apos; have already been acknowledged a good deal in recent months, especially given the refurbishment of the Bletchley Park premises, and perhaps this was instrumental in the Bombe Machine receiving 19% of the available votes. However, far more likely is the fact that this iconic device has been credited with saving literally millions of lives. Decoding thousands of messages during each day of the war, the Bombe Machine has been hailed as having slashed the duration of the war by 2 full years. As such, it would be difficult to think of a more worthy winner. That&apos;s not to say that the other engineering feats included within the poll were insignificant though. The runner up was Concorde, which is still considered to be a marvel of modern engineering to this day, whilst other famous creations such as the Rolls Royce RB211 engine, the legendary steam locomotive Mallard and the Crossness Engine Machine rounded out the top five. As you can see, there are plenty of reasons to look back upon the sphere of historical engineering with pride, and hopefully there will be just as much cause to look to the future with optimism as well. Here at European Springs, our spring manufacturers contribute to the engineering industry every day, for even the most impressive engineering feat would be helpless without the inclusion of essential components like springs. We like to think that our standards are just as high as those that were displayed on any iconic engineering venture of the past too, so whatever your need for springs might be, we&apos;re confident that we can help. To find out more, feel free to contact us now by calling +44 (0) 208 663 1800 or sending an email to info.bec@europeansprings.com.